Hello everyone, I’m back! 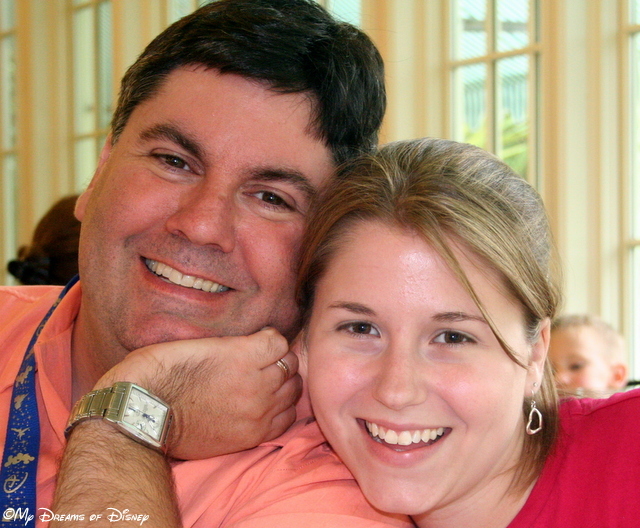 After a few week hiatus from #DisneyTrivia, I’m proud to rejoin my friends Jodi from Magical Mouse Schoolhouse and Heidi from Heidi’s Head to take a look at the best Disney Trivia available! Today I’ve got a special look at runDisney, the athletic arm of Disney, and we’re going to look at some great facts and figures about all of the runDisney events. In addition, I’ve got a special announcement about this as well, so keep reading! 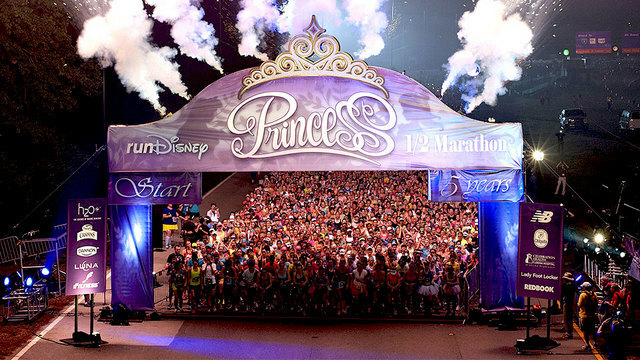 Did you know more than 163,000 participants run in runDisney events (currently around 26 different races!)? Did you know that there are two women-focused runDisney events? The Tinker Bell Half Marathon and the Princess Half Marathon allow men to run, but the first two corrals are for women only, and only women can win prizes (except for coed running teams). If you like race medals, and are up for a challenge, you need to look into the Dopey challenge! This challenge requires you to run the 5K, 10K, half-marathon, and marathon all in the same weekend event — that’s 4 medals for running the races, plus you get the Goofy Challenge medal (for running the half-marathon and marathon on consecutive days) plus the special Dopey challenge medal! All told, 6 medals, and 48.6 miles of running over 4 days! Crazy! Did you know that if you run in one of the races, you can dress up in a favorite character costume? You can’t do this normally at Disney — costumes aren’t allowed except for children — but doing so during the race is quite common! Most of the half-marathon and marathon races start in the late evening — like 10PM or so, and run (pun intended) until around 4AM! Afterwards, there is a party to celebrate and enjoy some good food! Have you ever run in one of the runDisney events? If so, I’d love to hear about your experiences, because my daughter Sophie and I have decided to start training to run in a Disney 5k of our own! Our training starts today, and we’re utilizing the Couch-to-5K free app for our iPhone. Tell me what you thought of your race experience, and thanks! Now, please check out the rest of the entries and we’ll see you later on with more Disney content! 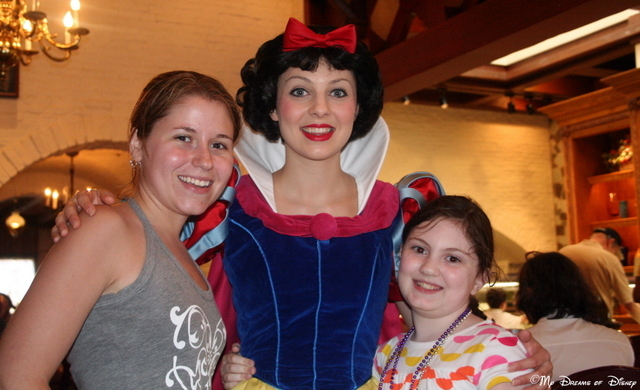 Stephanie, Snow White, and Sophie enjoy a picture at Akershus! Hello everyone, and welcome to our Favorite Disney Memories 2010 edition! So much happened in this trip in June 2010 for Sophie’s birthday that I almost don’t know where to start! I’ll do my best, though, and I hope you enjoy my walk down memory lane. At the end of the post, please share your favorite Disney memories in our comments section, and thanks! The picture at the top was taken at Akershus Royal Banquet Hall for our Princess Storybook Dining character dinner! I think the combination of my niece Stephanie, my daughter Sophie, and Snow White is a great combination! This trip started with a big surprise for Sophie — she found out the night before we were leaving that Stephanie was coming with us! We arranged for Stephanie to ring the doorbell when she got to our house, and I had Sophie answer it. When she saw her cousin, after hugs and kisses and excitement, she whispered to me “Daddy, why is she here?” It was a great moment, and one that we all will never forget! 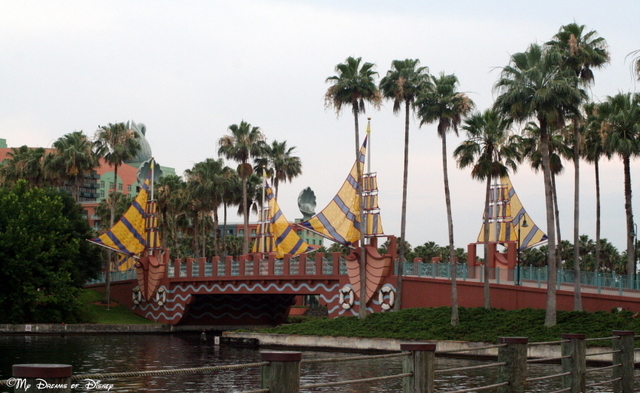 This picture of the bridge at the Boardwalk region of Disney is a fun one for me! 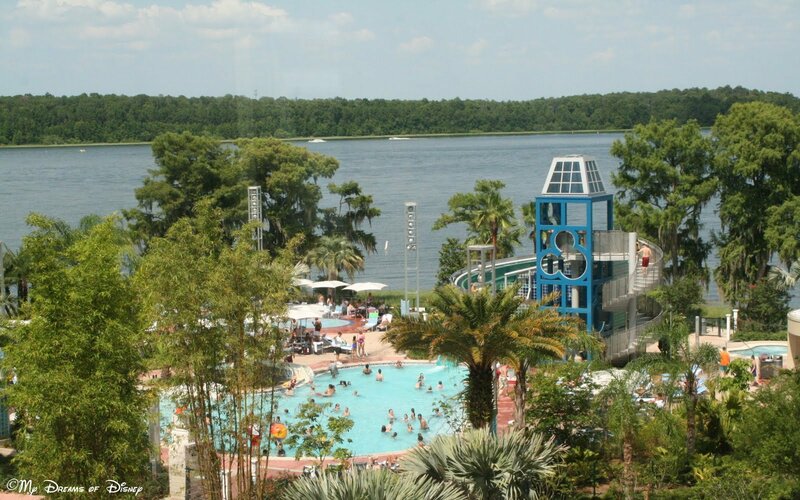 One thing we did on this trip that we had never done before was spend an evening at the Boardwalk region of Disney! It was a lot of fun, and we made a point to spend time there before we got all inundated at the parks, so we actually did this before we even checked in to our resort hotel! We made plans to eat at the Captain’s Grille, which is a restaurant one of my friends used to work at, and then we spent the night just walking around the boardwalk, checking out the shopping, enjoying the street performers, and having a great night all around. I enjoy this great picture of my niece and I from our visit to the Crystal Palace! This trip was a lot of fun — we even got a great picture of my niece Stephanie and I from the Crystal Palace! This trip had it all; great family memories, fantastic dining using the Disney Dining Plan, Sophie and Stephanie walking around the parks like they were sisters, and Cindy and I just taking it all in and enjoying every minute of it! 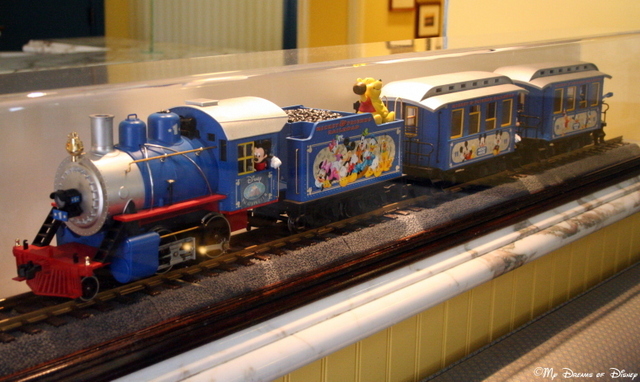 The Mickey & Friends Railroad located at the DVC Welcome Center at Saratoga Springs! This trip was special in many other ways, also, including the fact that we purchased our DVC ownership on this trip! That was such a big decision, but it was the right one, because since we bought our ownership interest, we have been to Walt Disney World with our close family, great friends, and we have stayed at Bay Lake Tower, Kidani Village, the Grand Californian Hotel, and this year, back to Bay Lake Tower! Sophie received this pirate gear at Downtown Disney! 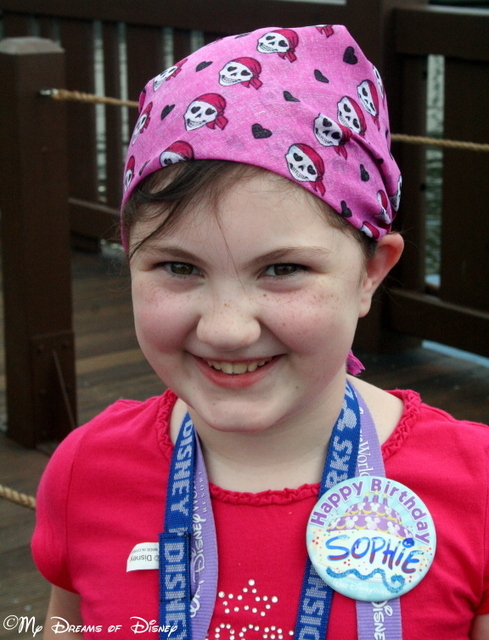 But, without a doubt, the biggest memory from our trip was celebrating Sophie’s 9th birthday. She loves celebrating at Disney, and one day during that trip, we took the water taxi from Port Orleans French Quarter, our resort, to Downtown Disney. When we were getting off the taxi, the captain wished Sophie a happy birthday, and then he had us hang on a minute, and he pulled out of his bag of tricks a Princess Pirate getup. That little gesture absolutely made Sophie’s day, and she wore the bandana with pride, and also the eye patch and sword too! Lastly, at Hollywood Studios, as we were finishing up our visit for the year, Sophie’s Happy Birthday button became worn out from water rides, heat, sweat, and you name it. One of the Disney artists saw it, took Sophie’s button, wiped off the sharpie, and then proceeded to spend about 15 minutes decorating her name in the Disney font, and adding glitter, and puffy ink, and all that. It was a great keepsake, and absolute proof to how incredible the Disney Cast Members truly are. Thank you my friends for visiting today, and remember, I love hearing memories, so please send me your favorite memories by leaving them in the comments below! 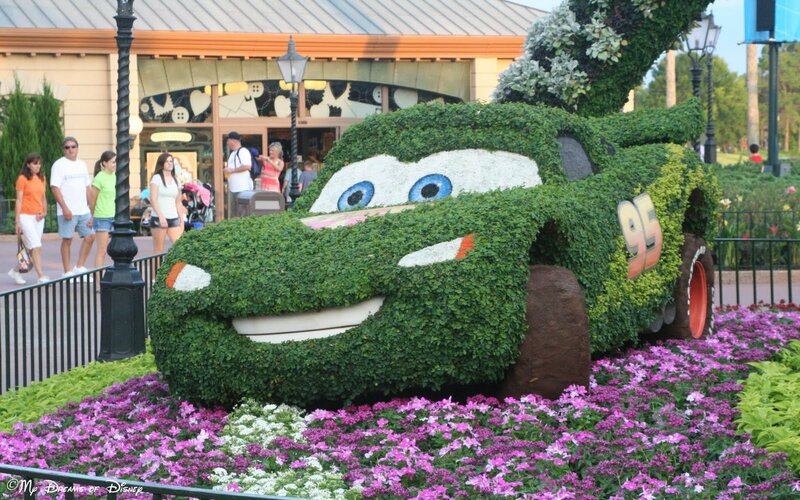 Now, go out there and make today and everyday a great Disney Day! Wordless Wednesday – Flora, Fauna, Fantasy! Hello everyone, and welcome to this week’s edition of the Wordless Wednesday Blog Hop that my friend Deb from Focused on the Magic hosts each week! 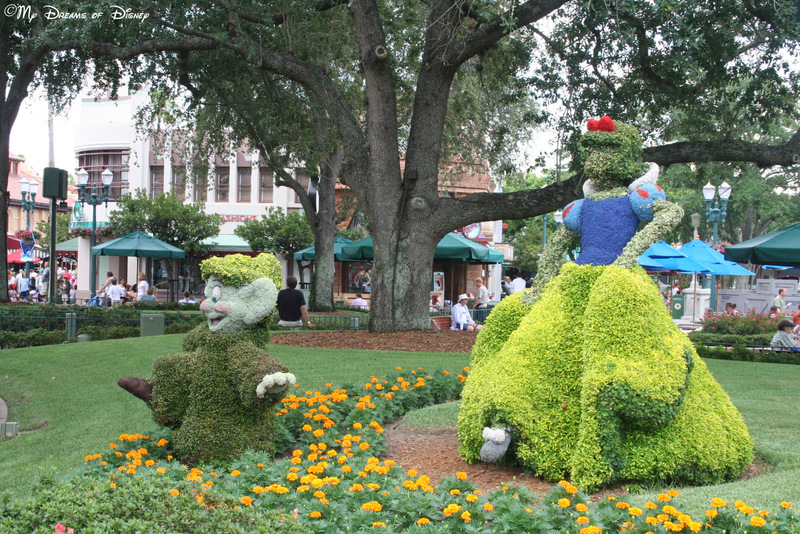 In this week’s theme, we are looking at Flora, Fauna, and Fantasy from around the parks as we celebrate the 15th anniversary of Disney’s Animal Kingdom Park on Monday, April 22nd, 2013! I was honored to be selected for one of the years in the 15 Days to 15 Years countdown that my friend Didi from DISTherapy is running. 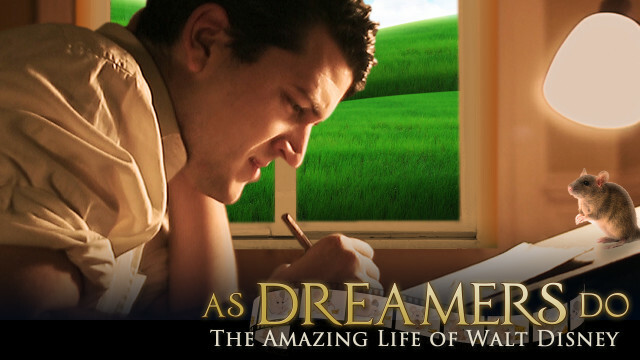 If you want to read my post, you can click on this post for a link to it. Sit back, relax, and enjoy my pictures of Walt Disney World that hopefully will give you a good Disney Fix while you anticipate and plan your next Disney vacation! If you need help with that, I can do that also, just click the image at the bottom of the post to fill out a vacation request form! In the first picture, I really enjoy the purple flowers that surround Lightning McQueen at the entrance to the World Showcase. Even though this picture was taken in June, after the Epcot International Flower and Garden Festival, it still looks incredible, and I enjoyed seeing it! This picture was taken during the Living with the Land boat ride. 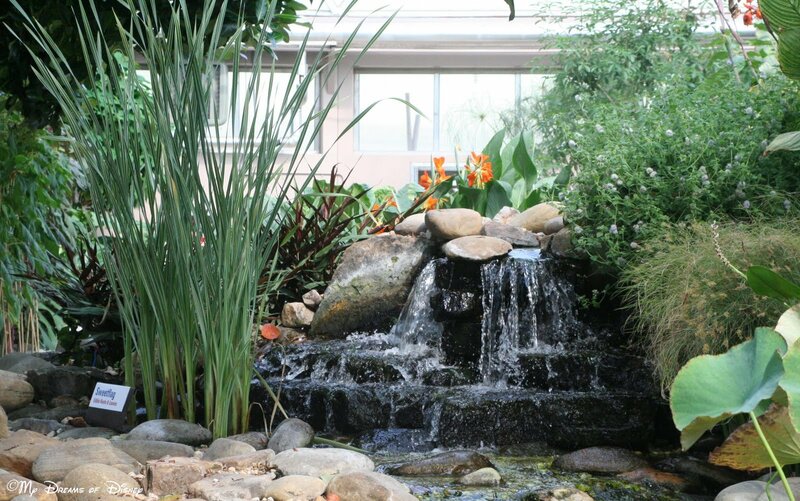 I think it is a great combination of fauna, water, and rocks. This shot of the swimming pool at Bay Lake Tower is cool to me because of all of the foliage from the trees that are nearby. I’ve shared this last photo before, but I just really like how incredible the Cast Members are able to recreate Snow White and Dopey over at Disney’s Hollywood Studios. Thank you for stopping by tonight! It is important to me that we as bloggers help our nation by giving the grieving a place to go to get away from the hurt, trauma, and fear that is taking place in our country right now. Of course we are praying for all of those that were killed and injured in the attacks yesterday, and you can always add your prayer requests on our Prayers for the Week post from this past Sunday, but I also want to bring a little light and happiness to a traumatic time right now. Thank you for stopping by, please click on the button below to see the rest of the entries! God Bless You, and God Bless the USA!